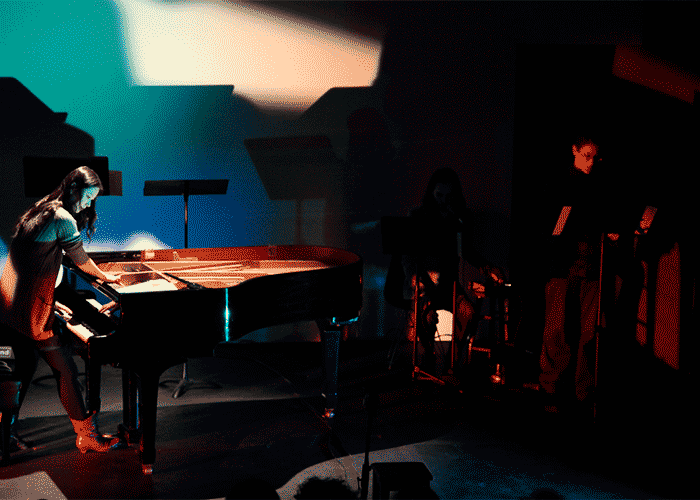 The second annual Avant Music Festival focuses on evolution as its guiding theme, from the evolution of a single work (Gibson’s Apparitions of The Four Pillars) to the literal exploration in Georges Aperghis’ Sextuor: L’Origine des espèces and everything in between. Performed by Randy Gibson, William Lang, and The Apparitions String Ensemble (Drew Blumberg: Conductor, Violin; Catherine McCurry: Violin; Mariel Roberts: Cello), with video by Oscar Henriquez. Panel Discussion between Nils Vigeland, Reiko Füting, and Randy Gibson. Moderated by Megan Schubert. Two5 performed by Randy Gibson and William Lang. Performed by Benjamin Capps, Victor Lowrie, Joshua Modney, Carol McGonnell, Erin Lesser, and on piano, Yegor Shevtsov. Performed by vocalists Gelsey Bell, Christie Finn, Amirtha Kidambi, Megan Schubert, Fabienne Séveillac, and cellist Émilie Girard-Charest.